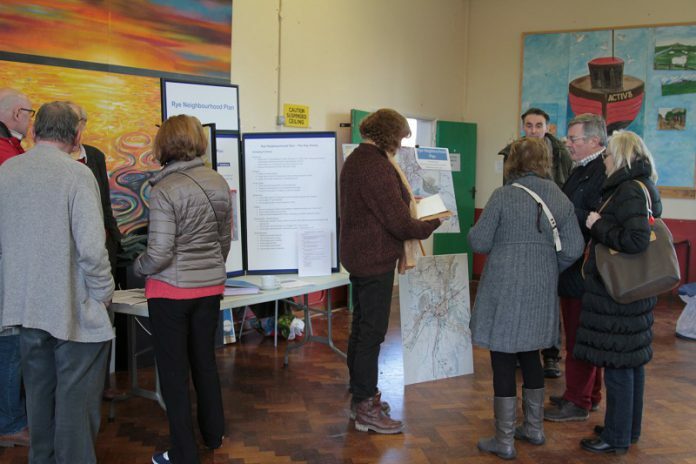 Hopes that Rye’s Neighbourhood Plan could be voted on in a referendum coinciding with local town and district elections on May 2 have faded away. But the town council have prepared a leaflet for a referendum setting out the plan’s aims which, if agreed by the referendum, would then have to be taken into account when any developments for the town were proposed. Late last week the independent examiner (part of the legal process to put a plan in place) only raised one query on the plan with the town council, but the ball is now in Rother District Council’s (RDC) court as it has to consider the plan in light of the examiner’s final report and organise a referendum. It is possible however that the referendum might be held to coincide with elections for the European Parliament due May 26. However uncertainty may well continue as a result of decisions made, or not made, at the European leaders’ summit this week, talks between the Prime Minister and the Labour Party (if they continue) , and any consequential votes in the British Parliament. In the meantime the RDC’s officers and the Sussex resilience forum will continue to meet weekly, if not daily, to review what impact decisions made in Brussels, or London, may have on our day to day lives – and forward plans, like holidays. The European elections take place on 26 May in those countries whose usual practice is to vote on Sundays – such as Bulgaria or France. In the UK the European elections, should they happen, will, as always, be on our usual Thursday and so will take place on 23 May! Therefore, the target date for the Rye Neighbourhood Plan referendum would be 23 May and not 26 May! Imagine if you will. I am reading this article about Rye planning to have a ‘referendum’, I have my head between my knees and my arms over my head waiting for the world to end. Have we not learnt a valuable lesson from the last c*** up. If the people of Rye don’t like something that is going on they will let you know. Seems to me that Rye has no powers of decision anyway. Expensive consultations for this and that. What does it achieve. wasted tax payers money and rich consultation firms.